Rose Petal Events is a full-service event planning company. I officially launched the business in 2003 out of my desire to help newly engaged couples plan every aspect of their wedding. I have many years of event planning under my belt but still make sure I stay up to date with the latest wedding industry trends. I’m very easy to work with and interact well with all people (I worked on my Bachelor’s with an emphasis in Sociology, I’m well versed in the theoretical understanding of social processes). My company has the ability to help you brainstorm ideas and execute. We’re prepared to handle any emergency situations that may arise during the pre-planning process as well as on the day of your event. We offer Wedding Management as well as Full Service Planning. 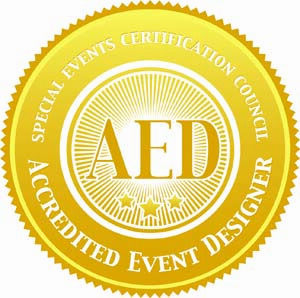 I understand the importance of making your event a special day and know what it takes to plan the perfect celebration. My company is there to help with all the details and planning. As Wedding Planner I will be your voice for your wedding reception and make sure both you and your loved ones keep your sanity intact!